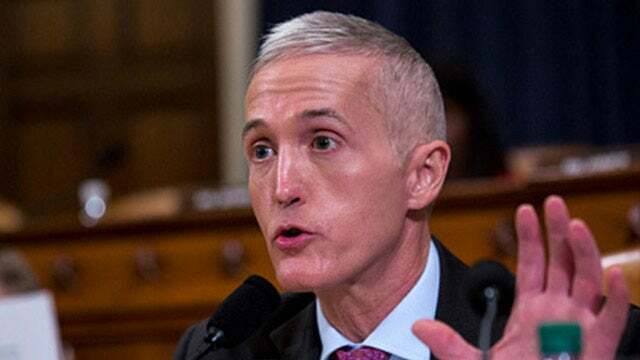 RUSH: We have a statement from Trey Gowdy on the inspector general report. This statement may explain some of the previous statements that Trey Gowdy has made about the FBI-DOJ. I will explain as we go through it, ’cause you know he’s been kind of frustrating lately by defending them and talking about how filled with honor they are and we just assume, “Well, he’s a fellow prosecutor! He doesn’t want to condemn these guys. He’s one of them.” But there may be more to it than that. “I am alarmed, angered, and deeply disappointed by the inspector general’s finding of numerous failures by DOJ and FBI in investigating potential Espionage Act violations by former Secretary of State Hillary Clinton. This report confirms investigative decisions made by the FBI during the pendency of this investigation were unprecedented and deviated from traditional investigative procedures in favor of a much more permissive and voluntary approach. “The report also conclusively shows an alarming and destructive level of animus displayed by top officials at the FBI. Peter Strzok’s manifest bias trending toward animus casts a pall on this investigation.” Don’t forget August 16th, 2016, Lisa Page (summarized exchange), “There’s no way Trump can win, right? He can’t win, right?” And Strzok responds to her, “No. We won’t let that happen.” Gowdy says, “This is not the FBI I know. This is not the FBI our country needs.